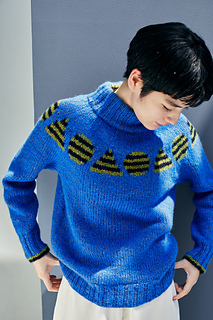 Origami is a yoke style pullover worked almost entirely in the round. It features a line of cute color work shapes around the yoke. Stripes at the cuff and inside the neck band mimic the stripes that make up the shapes.